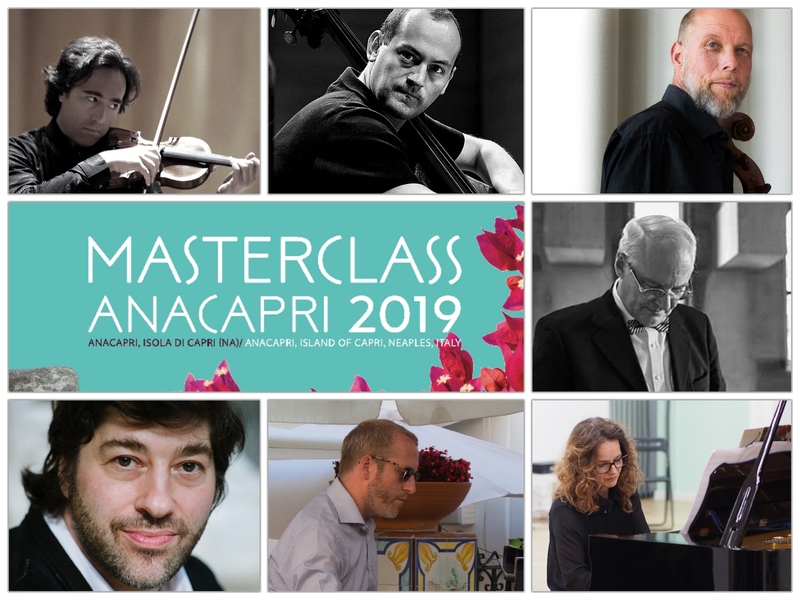 The third edition of the Anacapri Masterclass (from 6 to 14 July 2019), after the success of the second edition, will be even more interesting, lively, open and international. 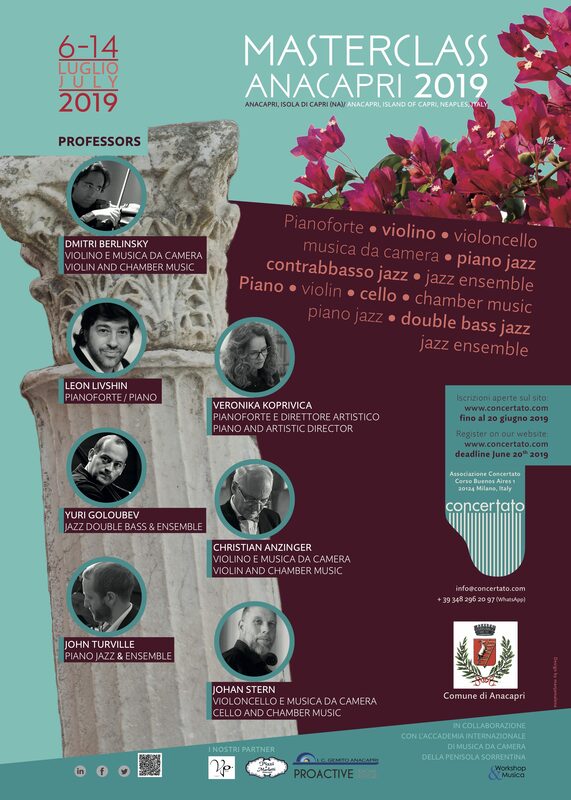 The staff of professors is prestigious, the formula that joins the classical tradition to jazz is revived in the beautiful Anacapri: a wonderful stage, full of art and history, an unrepeatable experience. 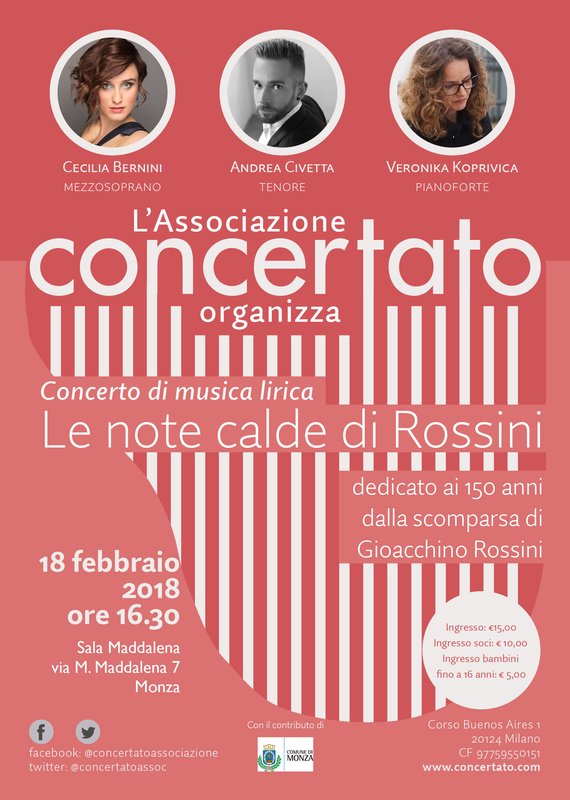 Students will live a week of full immersion between lessons, concerts, events and seminars, both living and sharing their experience with renowned musicians. The 2018 season was crucial and intense for the Association. 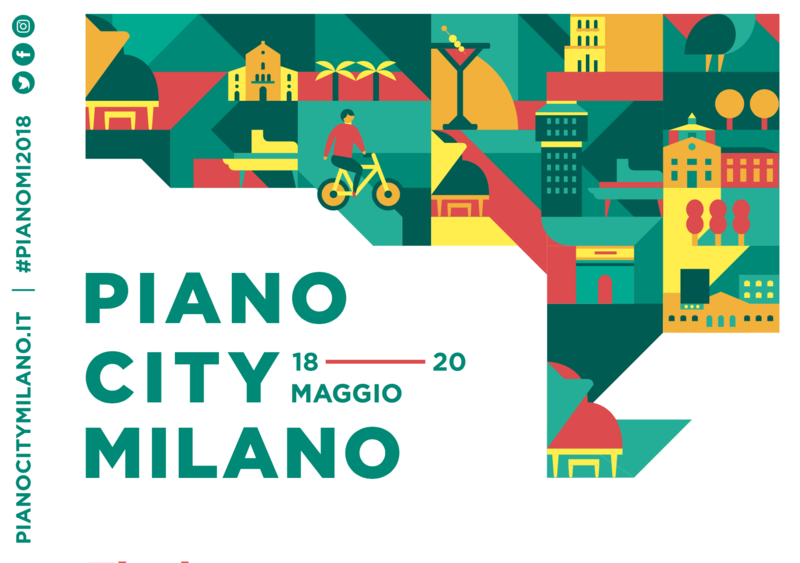 Thanks to the efforts of our staff, members and friends, we could involve artists, audience and public and cultural institutions in our projects. 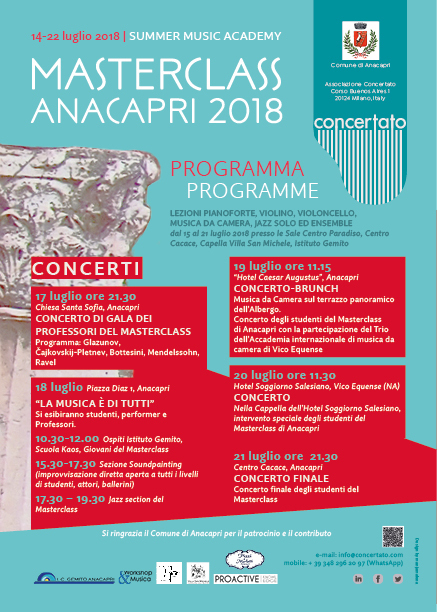 The second edition of the Anacapri Masterclass was a success and gave great satisfactions to us, the students, the professors and the organizations that supported us. Here some photos from the 2018 Masterclass. 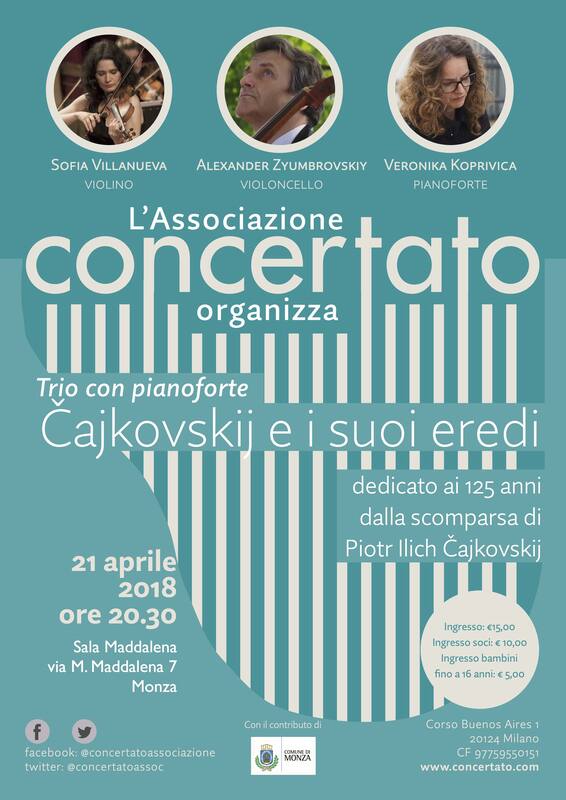 The musical season, rich in concerts and events, was focused to underline our founding values: diffusion of culture, quality of musical execution and social commitment. 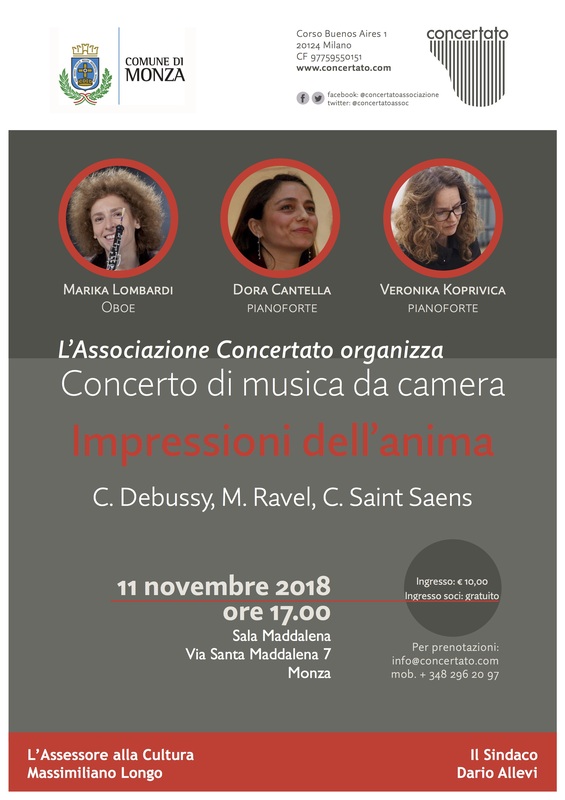 The 2019 season of the Association and the Anacapri Masterclass in its third edition are in preparation. 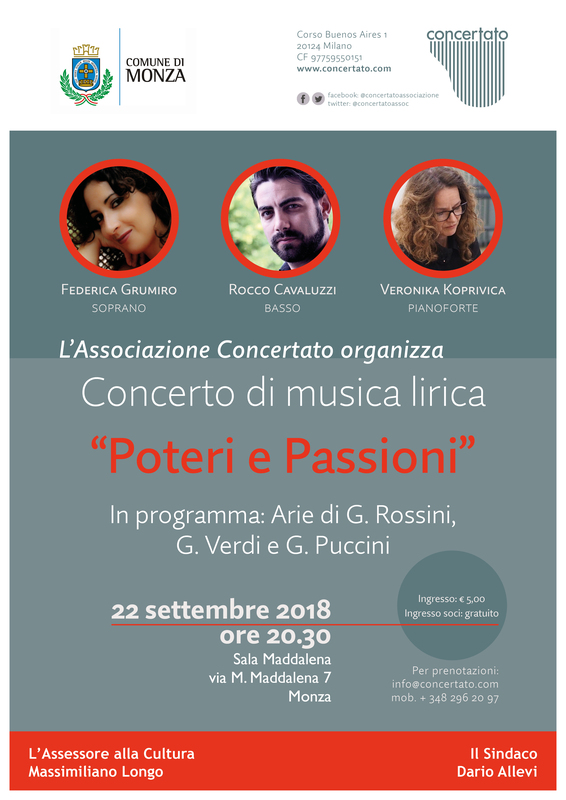 It is possible to review the last concerts of the 2018 season at Precotto and via Arzaga here and here, the other concerts by clicking on the posters below.  Concertato is a cultural association, founded by professional musician, listeners and music promoters. 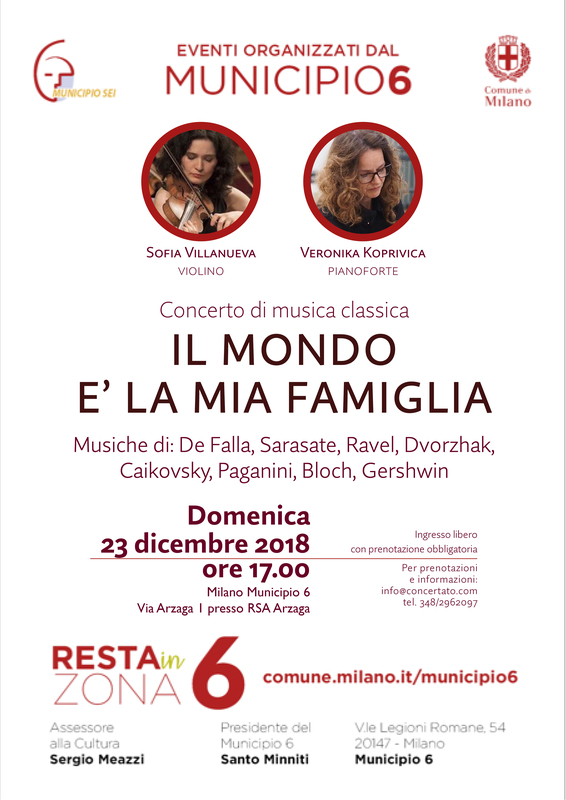 We believe that music represents a very important part of the cultural life of everyone, and that by listening, participating and training we will contribute to spread its beauty. 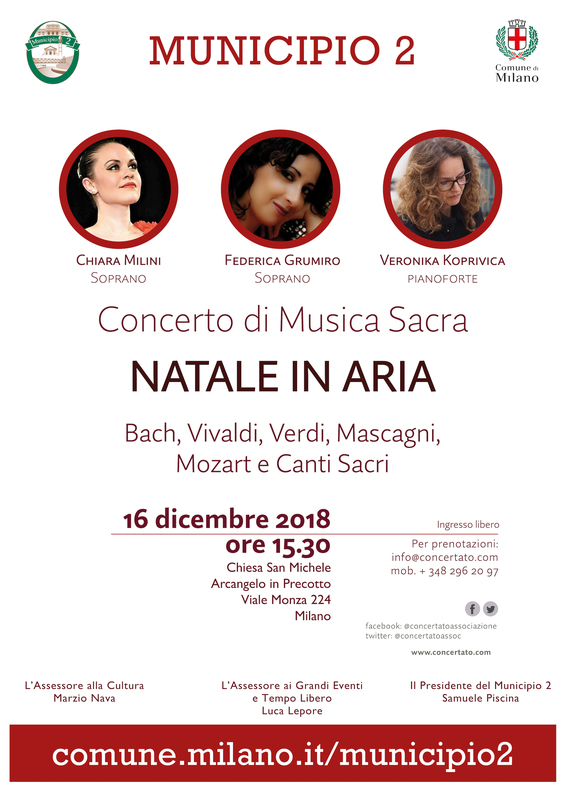 Music is a boost for the development of each individual, but above all it contributes to the general well being and realisation.